At SBG we understand Doctors can be intimidating. 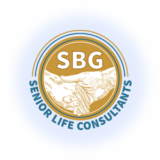 We provide guidance and solutions you can utilize to take charge of your healthcare, and the information necessary to appeal and file a grievance if you are denied the payment or care for services you need and deserve. Medicare billing fraud has become an epidemic impacting the pocketbooks of many seniors who count on their Medicare and secondary insurances to protect their health and control their costs. When you don’t know how or what Medicare or your health plan should pay you are at the mercy of the doctors and service providers. Most importantly, we’ll help you confidently make and stand by any decisions related to your healthcare.